Contains bosses acting at their worst. Recommended for anyone who’s ever had a job. 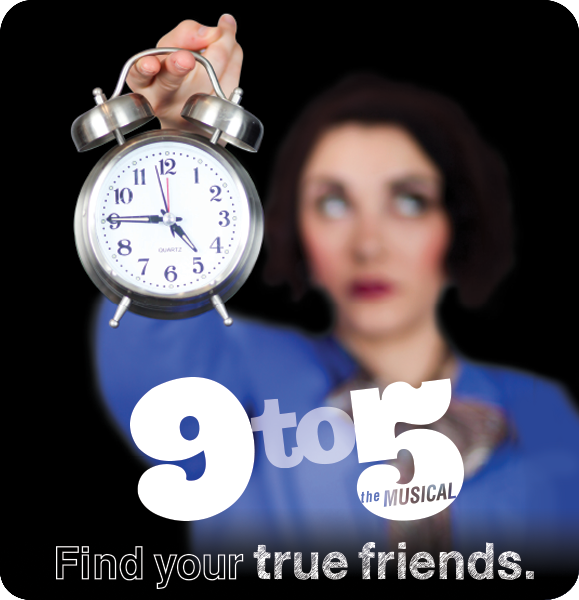 With music and lyrics by Dolly Parton and book by Patricia Resnick, 9 To 5: The Musical is a hilarious story of friendship and revenge set in the 1970s. Pushed to the boiling point, three female co-workers concoct a plan to get even with the sexist, egotistical, lying, hypocritical bigot they call their boss. In a funny turn of events, Violet, Judy and Doralee live out their wildest fantasy — giving their boss the boot! While Hart remains “otherwise engaged,” the women give their workplace a dream makeover, taking control of the company that had always kept them down. Hey, a girl can scheme, can’t she? Click here to buy tickets and learn more about available show dates and times. Unless otherwise specified, children under 5 are not permitted at SCT productions.